Dubai CrossFit Championship: first sanctioned event goes to United Arab Emirates city, but why did this happen? Dubai lands the first CrossFit Inc. sanctioned invitational under the new rules, leaving many people scratching their heads. CrossFit Inc. sent a curious message to the sporting world in picking the place for its first invitational under the sport’s new rules. CrossFit was born out of places like Santa Cruz, California, where the sport was invented, Madison, Wisconsin where the Games were last held, Washington D.C. where the sport’s head offices are, and Cookeville, Tennessee, where former world champion Rich Froning and current world champion Mat Fraser live. Its top athletes are mostly Americans, hailing from flyover states like Virginia, or on the women’s side, the tiny Arctic nation of Iceland. So when CrossFit Inc. made the Dubai CrossFit Championship its first invitational (the sport has done away with regionals), many outside, and even within, were a bit perplexed. Turns out Dubai has been a hotbed for the sport for years, a combination of factors including a healthy expat community (Dubai has close to eight million). 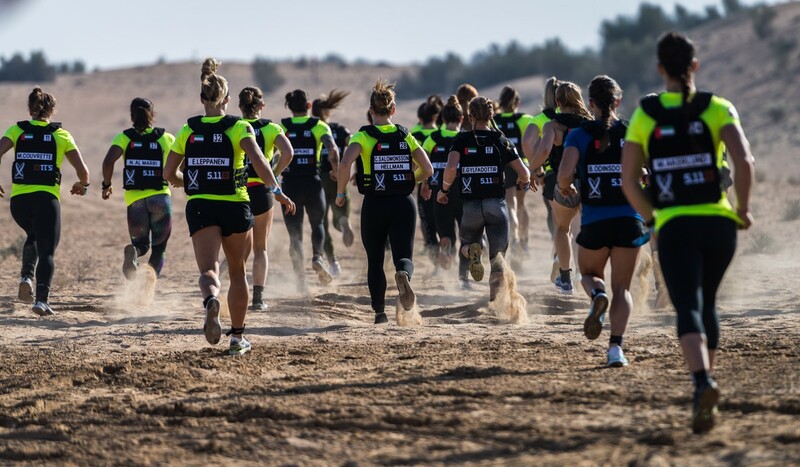 The event, originally known as the Dubai Fitness Championship, was part of a government initiate launched in 2012 by prince HH Sheikh Majid, said Centeno, and has since grown in terms of private sponsor support including names like Reebok. Diego Centeno, a senior adviser for the Dubai CrossFit Championships which will take place December 12-15, originally hails from Austin, Texas and said having a ruling government that not only backs, but understands the sport, is massive. 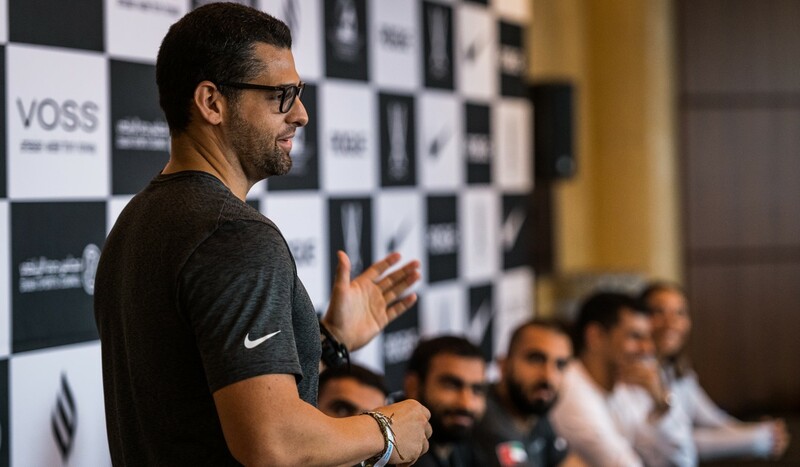 He noted there is little bureaucracy when it comes to CrossFit in the UAE, unlike other nations who seem perplexed at the sport’s actual existence. While CrossFit has grown immensely in the US, the sport still faces an uphill battle to garner widespread support and public or private backing. Up until a few years ago, the mainstream press were incredibly dismissive altogether, with ESPN calling it a “renegade workout programme” in 2014. It was only until recent documentaries chronicling the CrossFit Games in 2016 and last year that made a splash on Netflix and iTunes, did the sport start to garner attention outside its rabid followers. CrossFit has 19 sanctioned gyms in the UAE including 11 in the Dubai area and four in Abu Dhabi, and expats make up around 20 per cent of the population, making it essentially a country of professional immigrants, many of whom spent a short amount of time in the country and are looking to find ways to workout and also build friendship networks. CrossFit Games changes for 2019 are risky – if it ain’t broke, why fix it? The country’s local population is also dealing with the same obesity epidemic plaguing many Western nations including the US, as a recent report found that more than 60 per cent of men and women in the UAE are overweight or obese. Centeno said this is exactly why CrossFit wants to move away from focusing on the Games, which essentially shines a spotlight on the top one per cent of the global community, towards the sport’s health and wellness aspect. “The CrossFit Games made the disciple a household name, but now we have the attention of the authorities and officials to have a conversation about using CrossFit to fight chronic disease. @IcelandAnnie: "Build the foundation brick by brick 172,5kg/380lb." Dubai’s CrossFit Championship has “grown organically” over the years said Centeno, and in 2017 attracted 72 athletes from 19 countries including 32 official CrossFit Games athletes. A big purse for the winners does not hurt either. According to the Dubai CrossFit Championship’s website, a total of US$616,000 (HK$4.8 million) will be paid out to the winners. Centeno said some heavyweights have already signed on to compete in the 2018 event including Fraser, Annie Thorisdottir (who came fifth on the women’s side), Sara Sigmundsdottir (who came 4th in 2017) and Laura Horvath (who came 2nd). The top man, woman and team who win the Dubai event will get a ticket to the games, which are expected to be held in the summer of 2019.